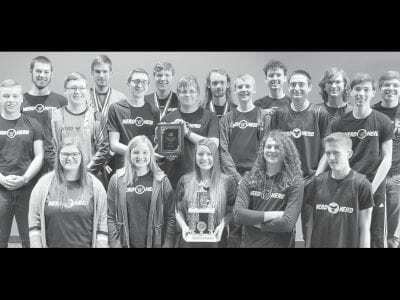 The Pettisville High School quiz team, the “Nerd Herd,” with the trophy for winning the 2019 Northern Buckeye Academic League tournament, Friday, March 15, and a plaque for winning the NBAL regular se… Sorry! This content is only available to paid subscribers at this time. Please login below, or consider purchasing a subscription today! Ellen Bostwick, fifth and sixth grade social studies teacher in the Pettisville School District, has resigned. The board accepted her resignation at its Monday, April 8 meeting. She taught at Pettisv… Sorry! This content is only available to paid subscribers at this time. Please login below, or consider purchasing a subscription today! 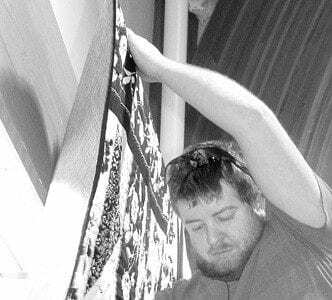 Michael Rufenacht, a volunteer, takes down a quilt before it’s sent to the auction block during the Fairlawn Haven Auxiliary Auction.– photo by David Pugh … Sorry! This content is only available to paid subscribers at this time. Please login below, or consider purchasing a subscription today! Mike DeWine, Ohio governor (R), announced Wednesday, April 3, that he signed a transportation bill which features an increase of 10.5 cents per gallon in the state gas tax. The increase is a compromis… Sorry! This content is only available to paid subscribers at this time. Please login below, or consider purchasing a subscription today! Samantha Lauber in the new location of Salon Bliss– the site of the former Carol Ann’s City Café in historic downtown Archbold. 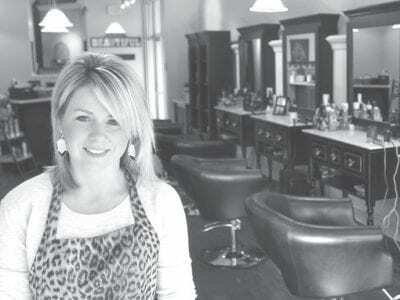 Lauber said since she was a little girl, she wanted to be a hair stylist… Sorry! This content is only available to paid subscribers at this time. Please login below, or consider purchasing a subscription today! 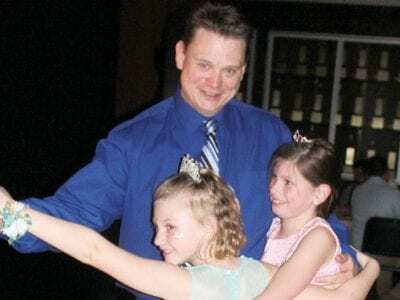 If you saw the 1995 movie “Sabrina,” starring Harrison Ford and Julia Ormond, and you think you know the Archbold Community Theatre show, “Sabrina Fair,” you’re in for a surprise. It’s the same basic … Sorry! This content is only available to paid subscribers at this time. Please login below, or consider purchasing a subscription today! 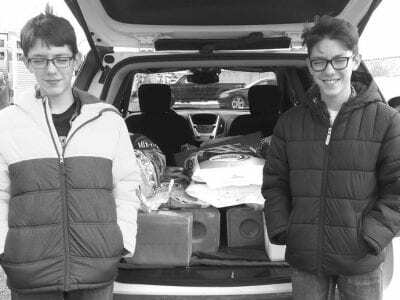 Dakota Armstrong, left, and twin brother Wyatt help unload milk replacer and mineral blocks donated by the Countryside Clovers 4-H club for Northwest Ohio Farmers Nebraska Relief.– courtesy photoThe C… Sorry! This content is only available to paid subscribers at this time. Please login below, or consider purchasing a subscription today! 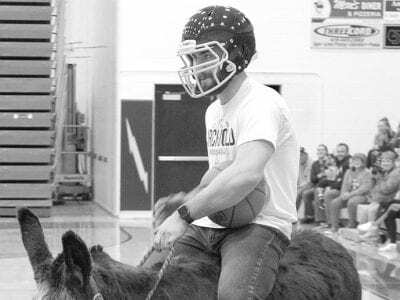 Donkey basketball, in which players ride donkeys while attempting to shoot baskets, returned to Archbold High School, Sunday, March 31. The donkeys don’t always cooperate with their riders durin… Sorry! This content is only available to paid subscribers at this time. Please login below, or consider purchasing a subscription today! Parts of Nebraska are experiencing floods this year, hitting livestock particularly hard. 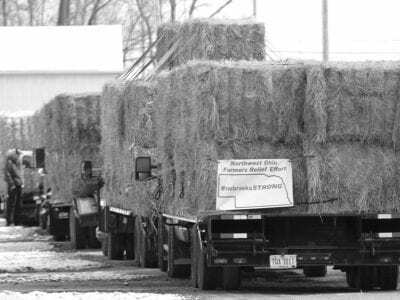 Farmers from Fulton and Henry counties are pitching in, donating hay. About 30 pickup trucks pulling tra… Sorry! This content is only available to paid subscribers at this time. Please login below, or consider purchasing a subscription today!